NEWSROOM – It’s said a picture speaks a thousand words. In the case of one Stanwich student’s photo, those thousand words are poetry. 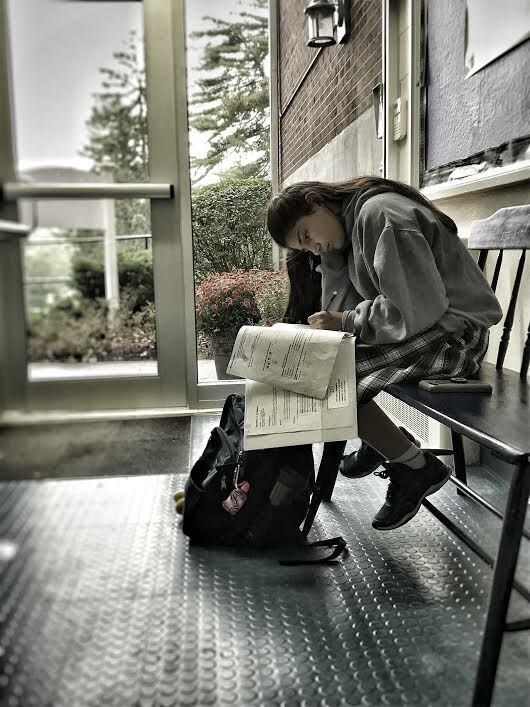 Mrs. Graham, Upper School art teacher, announced at school assembly that Stephanie Guan, an 8th grade student, won third place in a photography contest held by Greenwich Magazine. According to Ali Nichols Gray, the social editor of Greenwich Magazine, it is the annual photo contest which runs every year in their January issue. The competition is open to the public and Greenwich Magazine gets submissions from all ages; however, schools do submit the most entries. Ms. Gray, in an email interview with The Post, gave a short explanation of the contest. When Stephanie heard about this contest, she was immediately interested in participating, since she has a lot of pictures which she takes in her free time. She asked her family for suggestions and input and selected the one they thought was the best and turned it in. Stephanie explained to The Post how and when she took the photo. Stephanie also shared her excitement about the prize and recognition. Stephanie has a habit and talent of recording the beautiful moments in life; Mrs. Graham recognizes this. Stanwich students like Stephanie, who have talent and are willing to share it, enhance our community’s artistic atmosphere. Stephanie’s photography and award also show that Stanwich is a place where students can freely explore and express their passions and art interests.